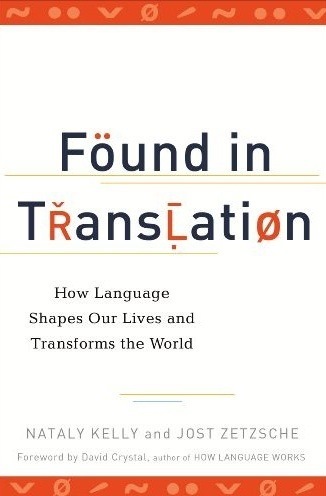 Book Review: “Found In Translation: How Language Shapes Our Lives And Transforms The World”. | Adventures in Growth Mindset & Mastery. Adventures in Growth Mindset & Mastery. "This is just a ride…"
Book Review: “Found In Translation: How Language Shapes Our Lives And Transforms The World”. Found In Translation is a book by Nataly Kelly and Jost Zetzsche, both translators. At 235 pages long, it’s not a quick read but I slowly found it quite fascinating. Their reason for writing it has worked on me: I have a new found appreciation for all types of translators. The book starts off with the “$70 Million Dollar Word”, a tragic story of 18 year old Willie Ramirez. Admitted to a Florida hospital, Willie was sick. Intoxicado, said his parents to the staff. Since many hospital employees could speak Spanish but were not professional translators, the nuance of the word was missed. As I learned, intoxicado doesn’t mean strictly alcohol-induced intoxication. There is no perfect Spanish-to-English translation, but it means a “state of poisoning”. There are different types of intoxications (food, sun, etc). Willie was misdiagnosed and, because of the wrong course of treatment, became a quadriplegic. The hospital settled in court with the Ramirez family for $71 million. That’s one hell of an avoidable mistake. Stories like that pepper the book. From medical diagnoses to virus hunting, the need & case for translation has never been stronger. Examples in other fields included the crowd-sourced translation of Haitian Creole that assisted rescuers during the post-earthquake emergency situation of 2010 and everyday diplomacy. The lack of translations also affect people viscerally, as I learned that many non-English speakers have been taken advantage off in our court system by various parties. What I found inescapable was the power & history of translations. Imagine being a Jew whose whole family has been killed in Auschwitz, yet have to keep your emotions in check as you become the sole translator for your family’s killers in court. That’s what happened to Peter Less at the Nuremberg trials. Centuries earlier, a German by the name of Martin Luther translated the Bible from Latin to the German spoken by his fellow laypeople. Wrestling such knowledge from those in power, who used the Bible for ill-gotten gains, and democratizing it empowered regular people to talk about faith & religion (and, digging deeper, freed them to determine Truth for themselves), which lead to one of the greatest movements the world has experienced: the Protestant Reformation. The power of translation is the power of connection: seeing similarities in a group of people, a society, or a culture that’s different than our own. The poems of Rabindranath Tagore, the martial acumen of Marcus Aurelius and Sun Tzu, the soulfood of Paulo Coelho. Or bringing it even closer to home: understanding the heartfelt lyrics of singers like Ibrahim Ferrer and Amr Diab. And having all the translations flow the other way as well. There’s nothing like knowing a person a world away who doesn’t speak your language knows exactly how you feel. One of the best takeaways I learned was the necessity of smart translation in global business. The stories of business translation in the book are great case studies in what not to do and how to avoid multi-million dollar rebranding campaigns. Specifically, the budding entrepreneur in me came up with a hopefully falsifiable hypothesis on branding: the best company & product names are elemental, evocative, & conceptual in nature. I believe names that deal with the sun, moon, earth, water, sky and deal with universal emotions like love, lust, happiness, while promoting concepts like minimalism, efficiency, cleverness etc. will be the companies & products that will be the easiest to translate, and thus have smarter marketability, promote quicker user adoption, and increase their business on a global scale. Entrepreneurs, take note. All in all, I liked the book & would recommend it to my friends. Grab a copy from your local library. It’s not a quick read, but it’s an eye opener. And it’ll leave you in awe of two things: the necessity & beauty of translations, and the translators, the unsung heroes whose hard work has helped the world better understand itself. « “Lift Your Soul”. The Unusual People You Meet At The Gym.